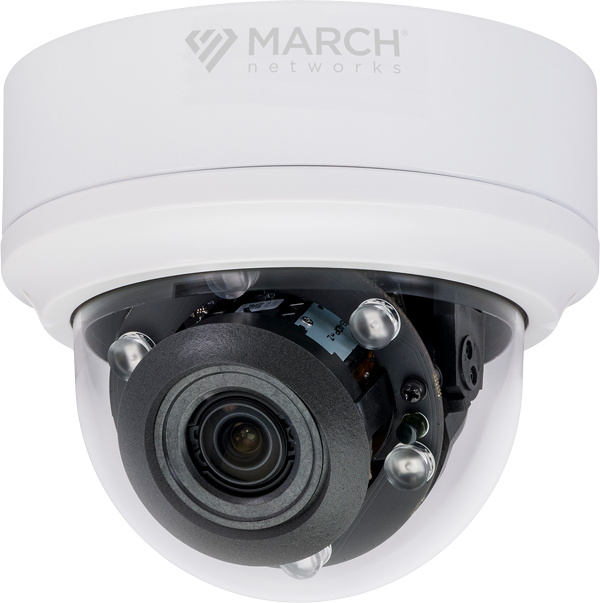 See objects in the dark at distances of over 131 feet (40 meters) away with this powerful outdoor IP camera. 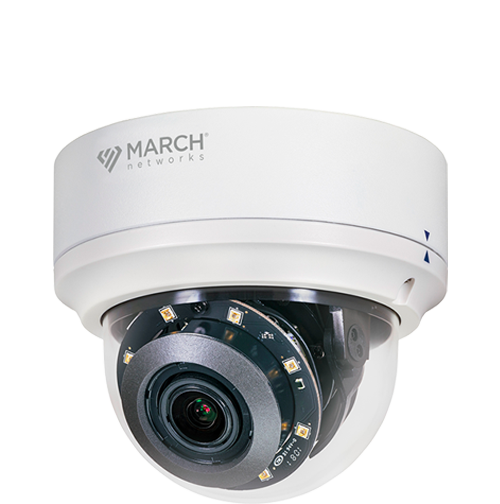 The ME4 Outdoor IR Dome incorporates Smart IR technology, which automatically adjusts the camera’s IR LEDs to ensure the proper exposure. Also ideal for highly contrasted scenes, the camera features High Dynamic Range (HDR) technology that works to blend several exposures together into the most focused, colourful and well-light video possible. 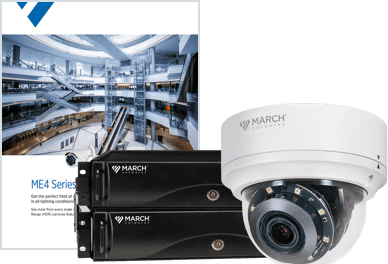 March Networks’ ME4 Series IP Cameras feature a convenient Low Bit Rate (LBR) setting that can reduce storage and bandwidth consumption by as much as 50% in most applications. Streams can drop below 1Mbps at 2MP (15 frames per second). Watch and see how it works. 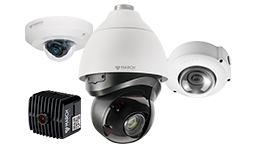 Capturing video in very hot or cold climates? The camera can operate in temperatures as low as -67°F (-55°C), and as high as 131°F (55°C). 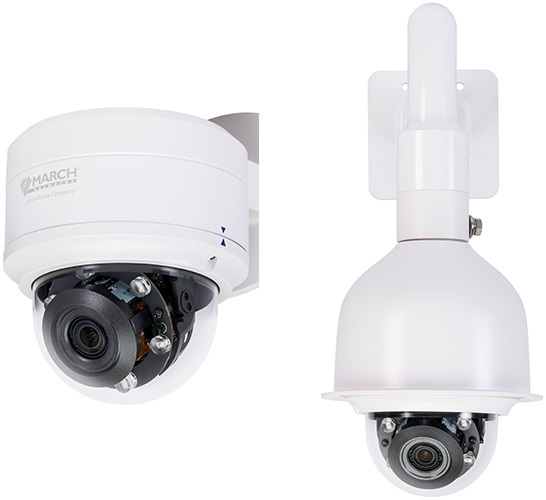 Additionally, the dome’s enclosure has an IK10 protection rating so the internal camera is safe from extreme impact.